The Mercury Protocol is a suite of smart contracts that enable a more secure, more private social network to form on the blockchain, instead of isolating the network in centralized servers. By creating a tokenized social ecosystem, applications can leverage tokens to incentivize meaningful interactions while users can utilize them to gain access to premium services. When applications build on the Mercury Protocol, they can charge GMT tokens for premium services or award it to active users for positive participation. Dust, the messaging app created by the company, will be the first application to utilize the Mercury Protocol. Broadcast is on the pipeline and will be the second app integrating with the protocol. Any application on the protocol can communicate with another application on the protocol. The company has a messaging app, Dust, since 2014. According to the white paper, it averages over 20,000 daily active users and 200,000 messages sent per day. This is in comparison to the 5 million messages sent per day number in July 2015, meaning that the app is in decline. Users are rewarded GMT for being active on these applications and networks. This creates an ecosystem that encourages active participation on the apps built on top of Mercury Protocol. As GMT tokens are needed to perform different functions for applications built on the Mercury Protocol, the more usage those apps have, the more valuable GMT tokens should be. Ryan Ozonian, CEO and Cofounder – Serial entrepreneur. Prior to starting Radical App, he founded Mention Mobile, a gaming startup. Rohit Kotian, Chief Technology Officer – he worked with Ryan Ozonian in Mention Mobile prior to joining Dust/Radical App. Billionaire Mark Cuban is an investor and advisor of the project. Nick Tomaino, Founder of 1confirmation, a cryptocurrency fund backed by Mark Cuban, is the other advisor of the project. Good ICO structure – there is no bonus/discount to ensure a level playing field. The messaging app industry is large. WhatsApp was acquired by Facebook for $19 billion back in 2014. Snap Inc. also has a market cap of $19 billion as of October 16, 2017. If Mercury Protocol is successful, the upside can be substantial. The company already has a functioning product, Dust, for a few years. According to the white paper, the biggest differentiation of Mercury Protocol over currency players (Messenger, WhatsApp, WeChat, etc.) is that it does not collect user information and monetize it. However, we are not sure how many users actually care about this, as long as they can use all the necessary functions for free and enjoy the user experience. Since the messaging industry is large, it is very competitive. The industry also enjoys enormous network effect, so most users would not want to try a new messaging app when none of their friends are using it. If Dust and Broadcast are not popular after integrating with Mercury Protocol, it would be difficult for third party developers to take the plunge and build applications on top of Mercury Protocol. The project will implement state channels and oracles – looks like it is a pretty complicated project and may face a lot of challenges during development. The use case is rather limited compared to Status, its closest competitor. Status’ use cases include running dApps, sending payments, storing cryptocurrency, which cannot be done by the Mercury Protocol. Neutral. Even with Mark Cuban as an investor, the project is not very hyped. 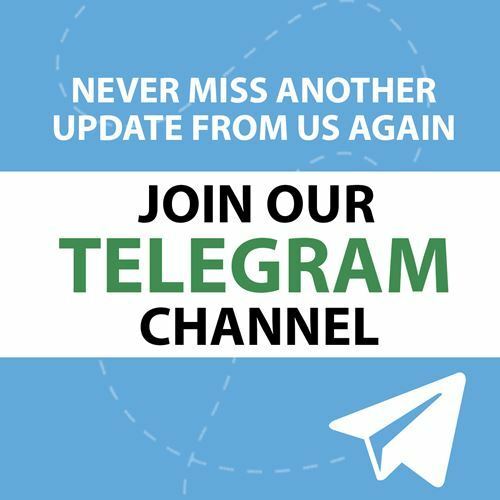 Neither the Telegram nor Slack channel are very active. However, the hard cap is relatively low so it has the potential to be filled quickly. Note: There is no gas or contribution limit for registered participants so you probably want to set a high gas in order to have a high chance for your transaction to go through. Neutral. If the project is successful, it can tap into a multibillion industry. With a detailed development roadmap, the team looks like they know what they are doing. However, Dust is an old and unsuccessful app and we don’t believe integrating the Mercury Protocol is going to help turn it around. It is unclear how different Broadcast is from Dust. The project has many uphill battles to fight – the substantial network effect enjoyed by the dominant players, and building/reviving messaging apps and make them successful. If the protocol is proved to be good, other messaging apps will add the same functionalities and let people use it for free. We believe it is going to be difficult for the model to work.